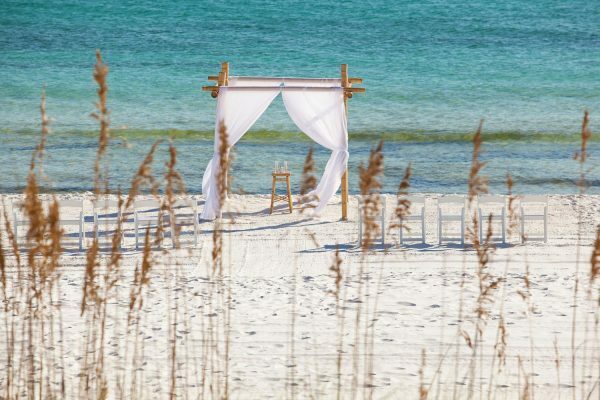 At Island Sands Beach Weddings we offer many Destin wedding packages for all sizes and budgets. 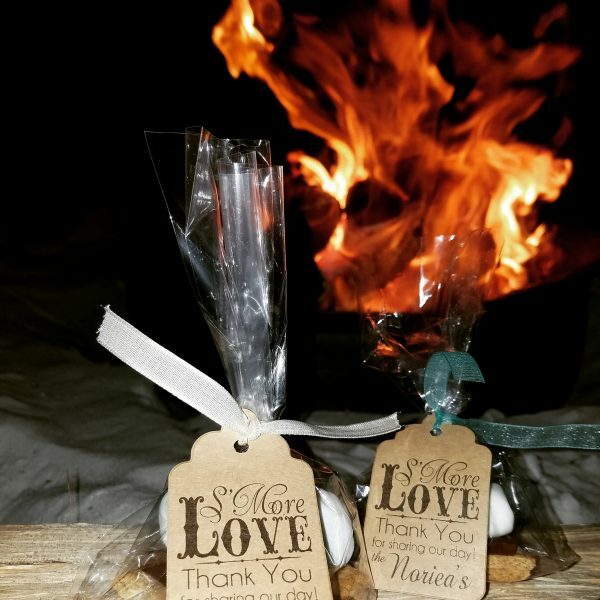 From a fully-inclusive wedding package to an intimate sunset wedding on the beach, a simple ceremony for two or a completely customized beach wedding with all your guests, we are here to create the wedding of your dreams and an event you and your friends and family will remember forever. We are an All Inclusive Wedding Coordination, Equipment Rental and Food & Beverage Catering Company. We can help you with as much or as little as you like and can customize a package that fits exactly your style and budget. If you need a DJ, Wedding Cake, Photography, Hair and Make up, you name it, we are your ONE STOP SHOP! Below are some of our various wedding packages to help get you started. If you would like a full list of services we offer please email us at info@islandsandsbeachweddings.com to receive a full menu of services and a quote for your very own customized package. If you are looking for an All Inclusive Wedding Venue at the Beach -Look No Further! With over 300 Feet of Pristine White Sand Beach and Emerald Waters, our Restaurant at Royal Palm Grille, located within Surfside Resort, provides the ideal location for your Dream Beach Wedding, Corporate Meeting, or Holiday Party. We offer an All-inclusive experience start to finish. Come stay with us in our luxury Condo Suites. Swoon over your specially reserved Beach Ceremony Set up. Dance the Night away in full view of the Gulf of Mexico from our Event Room or enjoy the Fresh Air overlooking the beach for a cocktail hour on our Sun Deck. Be pampered in our onsite Spa and Salon and enjoy dinner through out your stay at our onsite Restaurant. Just wait until you see the View! 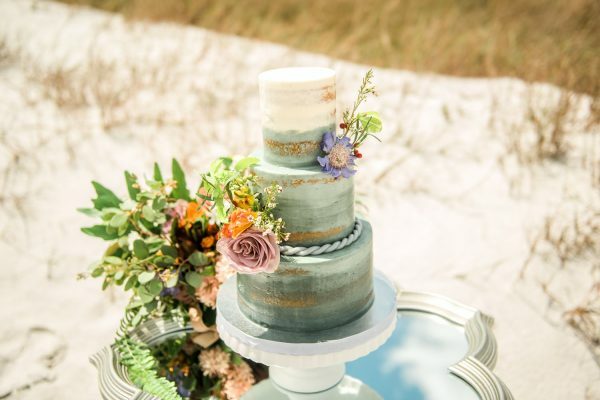 Winner of Best Wedding Coordinator in Destin Three Years in a Row 2017-2019, Best Wedding Venue 2019, Best Chef in Destin 2016, Best Wedding Caterer in Destin 2017, Best Wedding Rehearsal Dinner in Destin 2016-2019, and even Best Bar 2018 & Best Happy Hour in Destin 2017 from Destin VIP Magazine, we specialize in events both on and off site. No other Company on the Emerald Coast can match our level of service and attention to detail!! We book up very quickly so we highly recommend securing your day as soon as possible. Perfect for a Fun Alternative to a Reception as well! Would you like to customize this package? No problem! We can Add on any service such as Photography, Videography, Hair and Make up, you name it! See our Build Your Own Page for more options! Our All You Need is Love Ceremony Wedding Package is Ideal for an Elopement but your guest count is not restricted. There is no additional Charge for those in attendance. Need to add more chairs for additional guests? No problem! We can Add on any equipment item or service such as Photography, Videography, Hair and Make up, you name it! See our Build Your Own Page for more options!! Need to add additional guests? No problem! We can Add on any equipment item or service such as more Chairs, larger Cake, Photography, Videography, Hair and Make up, you name it! See our Build Your Own Page for more options!! Custom Beach Wedding Packages Always Available!! Don’t see Exactly what you are looking for or would like to add on to your package? No problem! 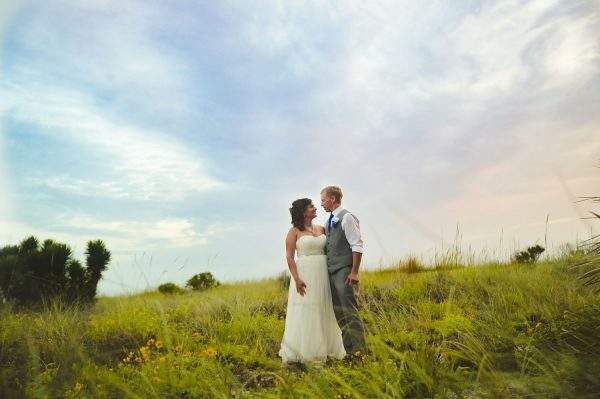 We do it all, from Photography, to Videography, to Hair and Make up….you name it! Just click here to view our full list of services we offer. RECEPTION Only Packages Also Available! CLICK HERE for more Equipment Rentals! 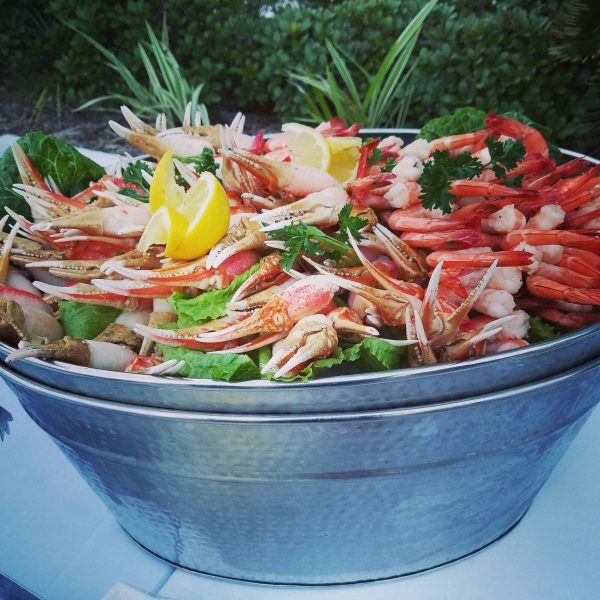 Our Sister Company, ROYAL PALM GRILLE, Winner of Best Wedding Caterer in Destin 2017, Best Chef in Destin 2016, and Best Rehearsal Dinner in Destin 2016, 2017 & 2018 SPECIALIZES in Food and Beverage catering! CLICK HERE for CATERING MENUS & more info! Package substitutions welcome!! This is your day so let us know what we can do to make your Beach Wedding Ceremony uniquely yours. There are Minimum Package Requirements for Friday, Saturday and Holiday Weekends from May 1st – October 31st. Ask your Wedding Coordinator for more details. There are no minimum requirements for Equipment Rental Only Packages. Equipment Rental Only Packages are available on a case by case basis. 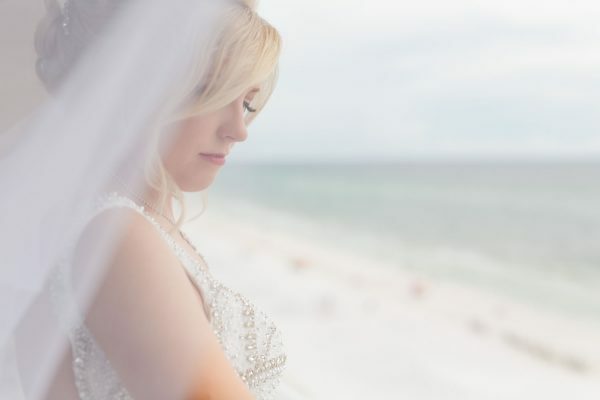 All Destin Wedding Packages include a free consultation with a fully qualified Florida Wedding Planner. 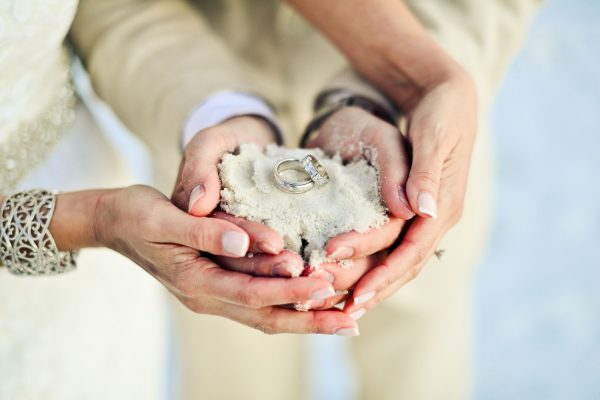 A non-refundable retainer is required to guarantee booking and final payment is due One Month prior to your Beach Wedding Ceremony. Out of area locations may include travel fee. Any fees charged by the venue location are the responsibility of the client. It is the clients responsibility to have an alternate location in case of inclement weather or your Beach Wedding Ceremony may be rescheduled based on availability. Your Wedding Coordinator can assist you in a “Plan B” location. 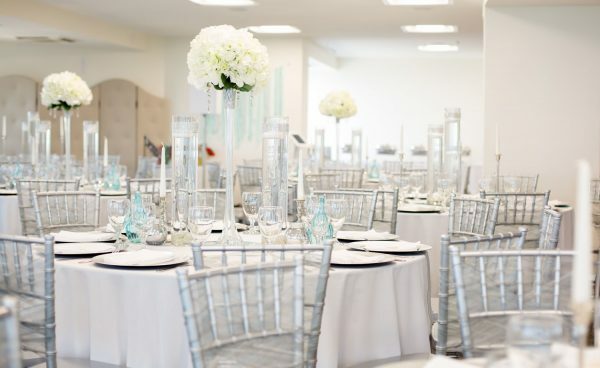 All inclusive Wedding Coordination Packages include a Rehearsal Meeting. These informal rehearsals are typically scheduled Morning or Early Afternoon the Day before Event Date. The exact times of the Rehearsal Meetings are based on the directors availability and must be scheduled with your Coordinator about one month in advance of your event date. 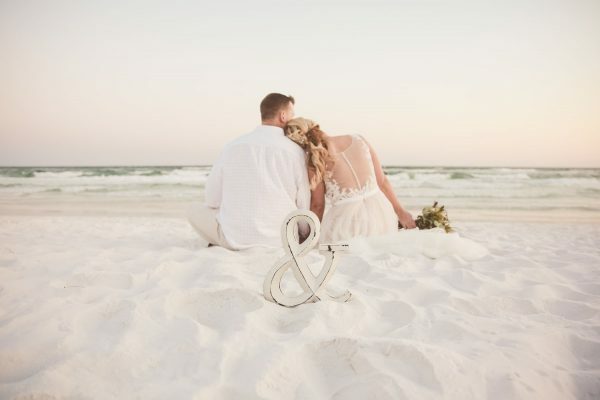 Ready to book your Beach Wedding in Destin? We can take your reservations to lock in your date! 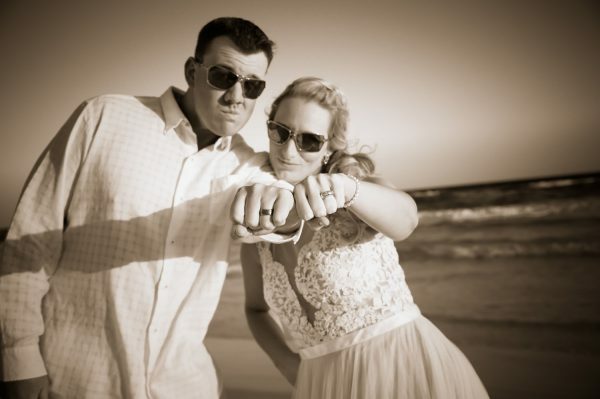 Call us at 850-974-0921 or send an e-mail to info@islandsandsbeachweddings.com with your contact info.